The karma definition you'll find here lays out a string of cause and effect that once understood can actually change the trajectory of your life. The deep meaning of karma is nothing mysterious or illusive as you'll discover in a moment. Below you'll find an organic and systematic approach to changing your life. Life is changing all around us, yet when it comes to change in our life we sometimes struggle to move forward. To bring about inspired life changes and to set a new course consider the karma definition and stepping stones below. Use them creatively to work with your body-mind and inspired life changes will be well underway. “Watch your thoughts, for they become words. Watch your words, for they become actions. Watch your actions, for they become habits. Watch your habits, for they become character. Watch your character, for it becomes your destiny." There is no mistaking it - out of this quote evolves a path for proactively changing your life. While each stepping stone is unique, they are intricately connected. Initiating change in one stepping stone begins a chain reaction to change the trajectory of your life. "It is the habitual thought that frames itself into our life. It affects us even more than our intimate social relations do. Our confidential friends have not so much to do in shaping our lives as the thoughts which we harbor." So much of life begins with thought. Like a river, thoughts flow through life giving birth to things we say and do. Words are one stepping stone away - they are tangible thoughts. Words inform us of the thoughts tucked away in the recesses of our mind. Words are used to outline the reality we live in. We use them to describe who we are, what we want, and where we're headed. We use them to define what is possible for us. The language we use delineates the boundaries of our thinking and of our world. Thoughts and words are that powerful. When you want to expand your life... when you want to broaden your horizons... when you want to break out of the mold of 'same old, same old'... there is no better way than to feed your mind on thoughts and words that inspire you. This immediately begins reshaping the reality you live in. As your mind expands... embracing new possibilities... the life changing stepping stones adjust to accommodate. Life wants to keep up with the changes you set in motion. The authentic self-discovery e-book can help initiate and boost your journey across the stepping stones. "We first make our habits; and then our habits make us." Thoughts and words give birth to actions and habits. If we aren't happy with the way we're currently doing things we can change. The stepping stones are always there to guide us. Change the way you think and your habits will follow. But what if they don't? What if you've changed your thinking, yet the way you operate has remained the same? This just means you haven't actually changed your thinking. You may have tried on some new clothes... but they didn't really fit so you had to take them off. Your old wardrobe remains intact. To have truly changed your thinking - you need to have first seen with new eyes. That's when new thinking suddenly fits. Now you're primed for new actions to take place and new habits to take shape. Seeing with new eyes, changes your thinking. Your new thinking changes your habits. And changing your habits changes your life. The warrior within has awakened. "Destiny is not a matter of chance, but a matter of choice. It is not a thing to be waited for; it is a thing to be achieved." The warrior within can awaken and be brought to the fore. Destiny is the fruition of a life. It's also a path - a road we travel. What better companion to see you safely and surely through the trials and tribulations than your warrior within! Are you ready to let your life change begin? "It may be that we are puppets - puppets controlled by the strings of society. But at least we are puppets with perception, with awareness. And perhaps our awareness is the first step to our liberation." Before and beyond definitions of karma there exists another world - that of awareness. We have the unquestionable ability to be aware of the mind. Awareness provides us the foundation for inner-freedom and conscious choice. It allows us to see what's actually going on and enables us to identify likely targets for intended life change. Awareness awakens the warrior within. It allows our spiritual growth plan to unfold through thick and through thin. By changing our karma we can offer our life a new spin. Live in gratitude and you become the embodiment of gratitude. Live with purpose and you become the embodiment of that purpose. Live courageously and you become the embodiment of courage. Live in love and you become the embodiment of that love. 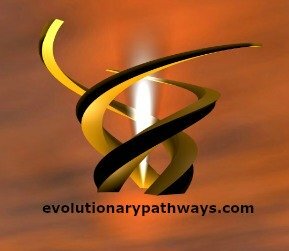 Our evolutionary pathways unfold with the choices we make and the inspiration we follow. The possibilities are endless. The choice - yours.